Three years after his mother, Mrs. Esther Hunter passed away, Antonio Hunter found himself homeless laying on the steps of the Innercity Night Shelter. Antonio now live on Florence Street in the Historic Cuyler- Brownville Neighborhood and is Heritage Place Apartments Building Captain. He moved into his apartment when the building first opened its door in 2002. Antonio’s apartment building exterior security system was struck by lighting during a rain storm, became insecure and allowed entry to people who did not live in the building nor the neighborhood. The halls and stairwells were also deteriorating. Antonio started a mission to renovate his apartment building. He began with a donation of new carpet he secured from Gulf Stream Aerospace and paint from Mercy Southeast Housing organization, owner of the apartment buildings. He contacted 1st District Alderman Van Johnson for help because the completion of the work was held up due to lack of funding. Alderman Johnson contacted (SDRA) Savannah Development and Renewal Authority who got in touch with Mercy Southeast Housing Vice President in Atlanta Ga. In an email to SDRA, Alderman Johnson, and Antonio, the Vice President said that the renovations would have to be put off until Spring of 09. However, because of Antonio’s steadfastness and Alderman Johnson’s help, the carpet will be installed before Spring 09 and the painting was scheduled for completion January 31. Antonio was baptized in June 1983 at Saint Mark Baptist Church–his family’s church. 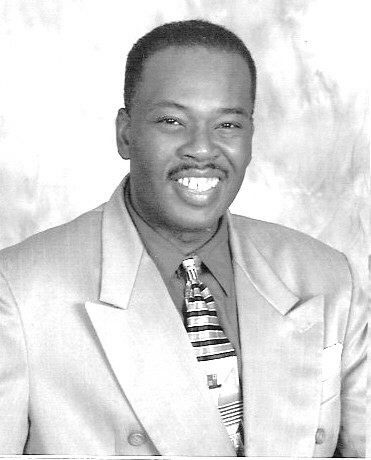 In 1997, he received right hand fellowship into Saint John Baptist Church, and sings in the Voices of the Mighty Fortress under the leadership of Pastor Dr. George P. Lee III and Pastor Emeritus Rev. Matthew Southhall Brown Sr.
Antonio is a 1981 graduated of A. E. Beach High School. He attended Savannah State College (now University) and studied Early Childhood Education at Savannah Technical College. He is now a substitute teacher for SCCPSS.